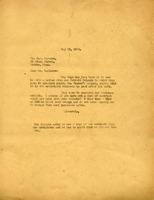 Receipt for payment for services in connection with the dairy. 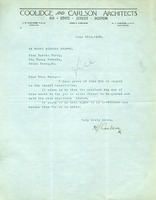 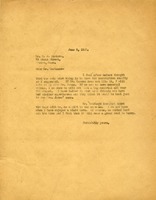 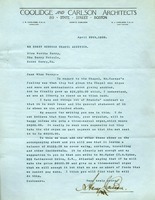 Thompson Starrett's detailed statement and request for payment. 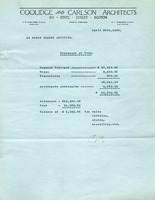 Receipt for payment for services in connection with the Boys Foundation School Gymnasium. 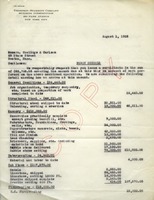 Receipt for payment for services in connection with the Mount Berry railroad station. 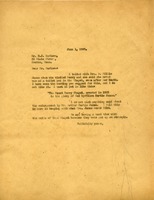 Receipt for payment for services in connection with the alterations to Martha Berry's house and other buildings. 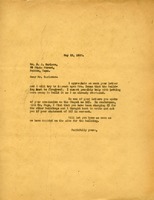 Martha Berry writes that "our Detroit friends" have questioned paying the salary of Mr. Hanson and asked to see a copy of the contract with Coolidge and Carlson, which she did not have. 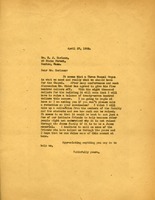 Harry J. Carlson writes that he has submitted his endorsement for the Pictorial Review Award. 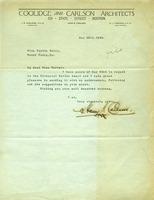 Martha Berry writes that she will try to impress on Mrs. Inman that "the building" must be fireproof. 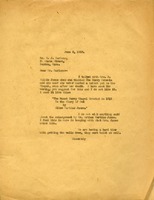 She asks Carlson to confirm his commission on the chapel, referring to a lower commission on previous projects. 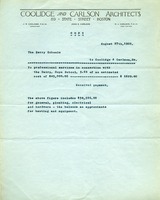 Statement of costs for the Berry Chapel addition.